For many potential homebuyers, the cost of mortgage insurance can be a big turn-off. For those who can't come up with a 20 percent down payment, the thought of having to pay an additional monthly premium can be enough to discourage them from buying a home in the first place. However, there's an alternative that may save you money. Though you don't hear a lot about lender-paid mortgage insurance (LPMI), it's an option that's been growing in popularity and which can save you hundreds, even thousands, of dollars a year in mortgage costs. LPMI isn't for everyone, but it's something many borrowers can benefit from. If you've got good credit, are planning on a small down payment and expect to either sell the home or refinance within a decade or so, it might be the right choice for you. Mortgage insurance, of course, is what is required on any mortgage with less than 20 percent down (or 20 percent equity when refinancing). It covers the additional risk the lender assumes in accepting a smaller down payment. Private mortgage insurance (PMI) is the most common type. You pay a monthly premium that's added onto your mortgage statement and paid to an independent mortgage insurer. FHA loans have their own mortgage insurance that's paid directly to the FHA. 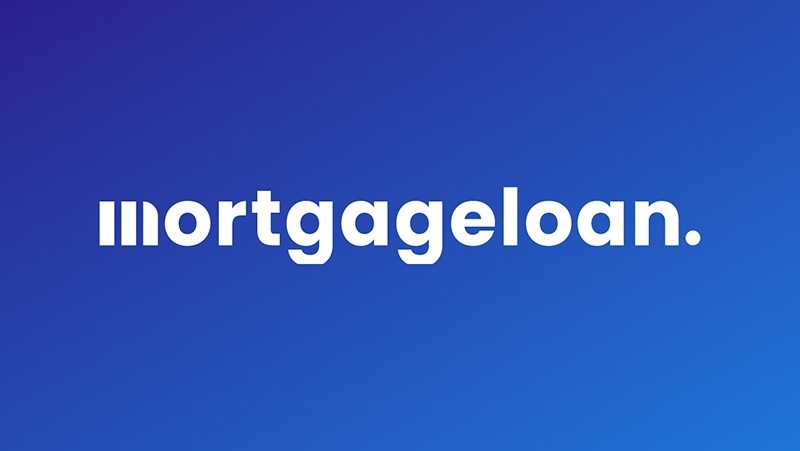 You pay both a single upfront fee at the time you take out the loan and then a monthly fee that's tacked onto your mortgage statement. LPMI works a bit differently. Rather than you buying insurance for your loan, your lender buys insurance to protect itself. This cost gets passed along to you, of course, but instead of paying an additional fee on your mortgage statement, the cost of the insurance is rolled into the loan itself in the form of a slightly higher interest rate. So what's the advantage? The big difference is that, rather than you buying a single insurance policy as an individual, the lender is negotiating to give an insurer all of its business on thousands of loans. That means it can obtain a big price break, with some of the savings passed along to you. How much can you save? Quite a bit, depending on your situation. Currently, LPMI will boost your interest rate by about one-quarter to one-half a percentage point. PMI, on the other hand, typically ranges from an annual cost of about 0.3-1.3 percent of your loan amount, depending on the size of your down payment, your credit score and the length of the loan. Suppose you're looking at a $250,000 mortgage with a fixed rate of 4.0 percent over 30 years. That gives you a base payment of $1,193.54 a month. With fairly typical PMI annual charges of 0.5-0.8 percent of the loan amount, you're looking at roughly an additional $100-$170 a month for mortgage insurance. Now consider LPMI. An additional half percent would boost your mortgage interest rate to 4.5 percent, for a monthly payment of $1,266.71. A quarter-percent adjustment, to 4.25 percent, would mean a monthly payment of $1,229.85. That means you're paying only an additional $36-$73 a month for LPMI, compared to $100-$170 a month for PMI. For comparison, mortgage insurance costs on a $250,000 FHA mortgage with a 30-year term would be a 1.75 percent fee at closing ($4,375) and an annual premium of at least 0.80 percent of the loan amount, or about $170 a month. In addition, because it's rolled right into your mortgage rate, the cost of LPMI is fully tax deductible for those who itemize. While it's possible that Congress may extend and retroactively restore the former tax deduction for PMI that expired at the end of 2014, that's far from uncertain. Also, the PMI deduction is phased out on household incomes over $100,000, while there's no income limit for the mortgage interest deduction. Sounds great, right? So what's the catch? Actually, it's a fairly significant one. Because the cost of LPMI is built into your interest rate, you're stuck with it for the life of the loan. PMI, on the other hand, can be canceled once your mortgage balance falls below 80 percent of your home's current value. At today's rates, it will take you about six years to reach an 80 percent loan-to-value ratio through normal amortization if you put 10 percent down, or about eight years with a 5 percent down payment. If home values rise during that time, you can get there even faster. So even though LPMI can knock a big chunk off your monthly payment, it's only a temporary benefit. For this reason, LPMI works best for people who don't expect to stay in the home for a long time. If you plan to move again within 7-10 years, you may still come out ahead with LPMI even if you could have canceled PMI a few years before then. Another strategy would be to refinance your mortgage once you reach an 80 percent loan-to-value ratio (20 percent equity) into a new loan that doesn't require mortgage insurance. However, with mortgage rates as low as they currently are, there's a very good chance that within a few years they will have risen more than the additional fraction of a percent you'd pay for LPMI, in which case there'd be no point in refinancing. And even if rates stay low, refinancing would involve thousands of dollars in closing costs. Furthermore, not everyone can get LPMI. For one thing, not all lenders offer it, though it is becoming more widely available again after falling out of favor for a few years. In addition, you generally have to have fairly good credit to qualify, with a FICO score in the 700s or better. In addition, the rate adjustment you pay will be tied to your credit - the lower your score, the bigger the increase. It's also not a good choice for people who are making a more substantial down payment - say 15 percent down. With that much equity to start with, you'd be able to cancel PMI in just a few years anyway, so LPMI wouldn't offer much of a benefit. Even so, you have to look at what lenders are willing to offer you, run the numbers and see what you get. Often, people may find that even over the course of a full 30-year loan, the costs of LPMI vs PMI come out pretty close to even - in which case you might as well go with LPMI in the event you do end up selling or refinancing before the loan is paid off.